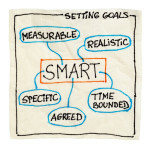 Your success in reaching and achieving your fitness goals begins with setting good goals. Each workout should be the perfect action step toward reaching your ultimate workout and fitness goal. Goals vary from exerciser to exerciser. Some will want to lose weight. Some will want to increase their max bench press weight. Some will want to get more flexible for golf or another sport. Whatever your particular goal may be it all begins with setting a goal. Think about it for a minute. 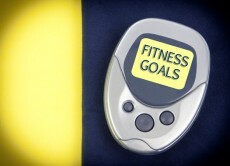 Do you have real goals laid out for what you are trying to achieve when you workout? Are you just exercising to exercise? Exercise is awesome for you and the heath benefits are endless, but if you don’t have any goals you’ll find yourself going through the motions and not getting the most out of every workout. If you are exercising for the sake of exercising, you will eventually get good at whatever you are doing, and if you continue doing that one thing (or set of things) over and over, you will plateau. Once you make the decision to set one goal or a number of fitness goals, you have to give some thought to the type of goals you set. 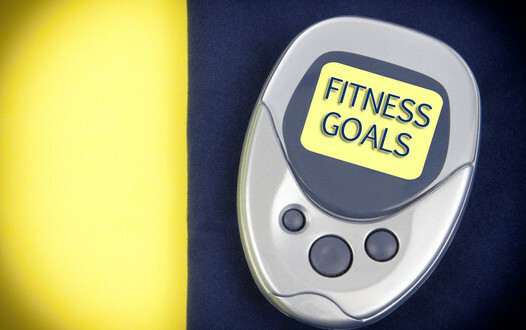 The number one rule for setting fitness goals is setting realistic, achievable goals. You don’t want to sell yourself short, but at the same time don’t set a goal of losing 60 pounds in one month or squatting 1000 pounds by the end of the Summer. Pick a real goal and then go for it. If you need to lose weight, give yourself 6 months to a year, depending on how much weight you need to lose. Pick a realistic number. If you need to lose 60 pounds, plan on working at it for 10 months. This gives your body the ability to safely lose an average of 6 pounds a month during that time period. Don’t allow yourself to become discouraged by the fact that it may take 10 months to lose that much weight. You didn’t pack on the pounds overnight, and you certainly wont lose them that quickly either. Know that once you start your weight loss journey you are on the path to a new you. The same is true of wanting to get stronger or more flexible. It’s going to take time and work, but you can get there. Here’s another tip for making a 10-12 month period for reaching a weight loss goal or a 2 month period for attaining a strength goal seem easier: break down each goal into smaller goals. You should have macrocycles and microcycles. Over a 10 month period, you could break it down into 2 macrocycles of 5 months each. Within each macrocycle set smaller microcycles of 2 week periods. Set goal weights and the work to reach those goals. Always celebrate your progress at each stage. Give yourself a pat on the back for all the hard work. If you can successfully set smaller goals to help you reach and stay focused on the big goals, you will be successful at achieving your fitness goals. The more you stay focused, the more you will surprise yourself. You may even reach your goals faster than you thought possible.